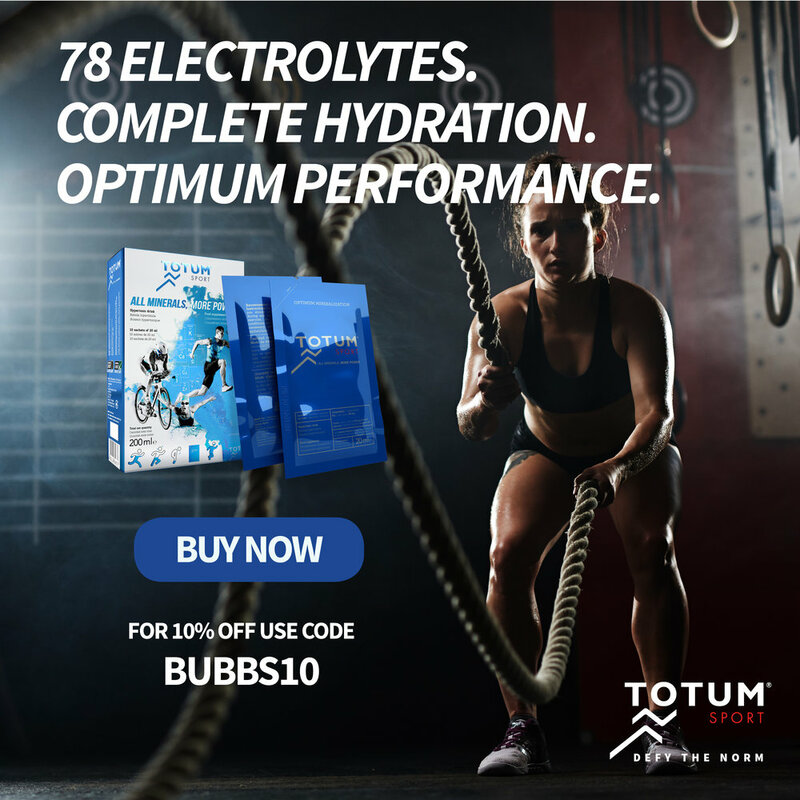 In Season 2 Episode 50, Dr. Bubbs reflects on the second season of the Dr. Bubbs Performance Podcast with clips of 18 expert guests sharing their incredible insights on a variety of hot topics from popular episodes this past year: athlete health, fuelling training, recovery, and the brain. Thank you to all the amazing expert guests who came on the show this year to share their knowledge on training, nutrition, functional medicine, recovery, brain health and mindset! And thank you to our listeners....stay tuned for season 3 coming up in 2019! Season 2 Episode 44, Dr. Bubbs interviews expert physiologist Dr. David Pyne PhD to talk exercise immunology and keeping athletes cold and flu free. In this episode, Dr. Pyne reviews the fundamentals of immunology and how the immune system is regulated by exercise and nutrition. He’ll discuss how training volume, intensity and load impact immunity, and more importantly, why keeping athletes cold and flu free is paramount for athletic success. Dr. Pyne also discusses the key immunity biomarkers and how effective they may (or may not) be at flagging at-risk athletes. Finally, he dives into the topic of immune-nutrition and how the food you eat, and supplements like probiotics, can impact athlete immunity and therefore ability to train and compete. 21:45 – Can probiotics reduce severity and/or duration of infection? Salivary IgA levels and infection risk in elite swimmers. Dr. David Pyne PhD is a sports physiologist with 30 years practical and research experience across a range of individual and team sports such as, basketball, rugby union, rugby league, Australian Football, cricket and swimming at the Australian Institute of Sport and national levels. David has attended four Olympic Games and numerous international competitions with the Australian Swimming Team. Between 2013 and 2017, David served as the Discipline Lead – Physiology for Swimming Australia. Dr. Pyne's research work in the areas of exercise and the immune system, environmental physiology, the applied physiology of swimming, and fitness and conditioning for team sports is recognised internationally. He has published over 200 peer-reviewed papers in exercise and sports science journals and is a Fellow of the American College of Sports Medicine. Season 2 Episode 42, Dr. Bubbs interviews Dr. Chris Bellon PhD, who shares the four things you need to know about getting people fast, how sled towing and hill sprints help to accomplish 4 fundamentals, and how procedural memory development fits into the story. Chris talks about progressing from general to specific training, the role of stride length and rate, and outlines exercises to train specific qualities. He’ll also share the key relationship between weight room and quality speed development, how he monitors athletes, and the many demands facing young athletes today. Chris shares his tips for time-efficient workouts, the evolution of sport science and his biggest rocks for upgrading acceleration and sprinting. Are running speeds maximized with simple-spring stance mechanics? The nature of speed: Enhancing sprint abilities through a short to long training approach. Dr. Chris Fellon PhD is an Assistant Professor in the Department of Exercise Science at LaGrange College. He teaches a variety of courses in the areas of sport physiology, motor behavior, coaching theory, and strength and conditioning. In addition, Dr. Bellon serves as the Director of Sports Performance in the LaGrange College SPEED Center. Within this role, he oversees the strength and conditioning practices for several athletic teams, including baseball, basketball, soccer, swimming, tennis, and volleyball. Prior to arriving in LaGrange, Dr. Bellon earned his doctoral degree in Sport Physiology and Performance at East Tennessee State University, where his academic endeavors focused on the enhancement of sprint acceleration in team sport athletes. During his tenure at ETSU, Dr. Bellon served as an Assistant Strength and Conditioning Coach and Sport Scientist for the university’s Olympic Training Site, as well as within the Athletics Department, working with a variety of athlete populations, ranging from international-level bobsledders to Division I women’s basketball players. Dr. Bellon currently resides in LaGrange, Georgia with his wife, Grace, and daughter Imogene. Follow Dr. Bellon on Twitter @DocBellon. Season 2 Episode 40, Dr. Bubbs interviews expert Dr. Javier Gonzalez PhD to talk all things breakfast. Is it really the most important meal of the day? Does eating breakfast improve ability to lose weight and how does that compare to fasting? How does exercise in a fasted-state, or after breakfast, impact this whole story? Javier will share his research in this area. He’ll also discuss how eating breakfast impacts your energy balance the rest of the day, compare the effects of fructose versus glucose metabolism on weight gain, and discuss the state of the research on intermittent fasting. Javier will also dive into the topic of personalized nutrition as it relates to weight loss: does everyone really need a personalized approach or do the fundamentals hold true for the majority of the population? Finally, Javier reveals his breakfast routine and what does the future hold for this type of research. 15:20 – Does fasting or IF lead to fewer calories in the day? 33:20 – Personalized nutrition – Is it really necessary? 41:10 – Is breakfast the most important meal of the day? Senior Lecturer in human physiology at the University of Bath, Javier has published more than 50 peer-reviewed articles and book chapters in renowned scientific journals, such as journals such as Diabetes Care, Obesity Reviews, American Journal of Physiology - Endocrinology and Metabolism and the American Journal of Clinical Nutrition. In recognition of this work, he received the Julie Wallace Award 2018 by the Nutrition Society. Javier has PhD in Human Nutrition & Metabolism and his research seeks to understand the interactions between nutrition and exercise in the context of health and disease. 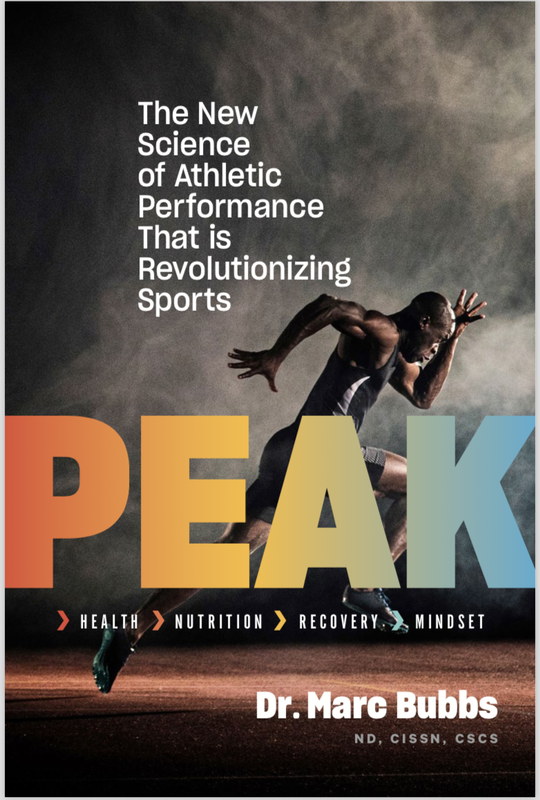 One strand of this work is to explore the role of carbohydrate availability in the regulation of energy balance, metabolic health and sports performance. A second strand aims to uncover new dietary approaches to influence the production of hormones from the gut, and thereby regulate appetite and energy expenditure. Season 2 Episode 39, Dr. Bubbs sits down with renowned strength coach Mike Robertson of Robertson Training Systems to chat about his model of Position/Pattern/Load/Express for increasing athleticism and performance, as well as how to build physical qualities when movement quality is poor. Mike also shares his thoughts on conditioning programs, the importance of lateral acceleration, in-season training considerations, and how things change in the post-season. He also provides some of his insights from turning 40, highlighting tips for longevity and health, as well as sharing what on his reading list and pre-workout playlist. As always, fantastic insights from a world-class leader in the field! Mike is one of the most highly sought-after coaches, consultants, speakers and writers in the fitness industry today, known for his “no-nonsense” approach to training and brutal efficiency. Mike has made a name for himself as a go-to resource for professional athletes from every major sport. He’s the President of Robertson Training Systems and the co-owner of Indianapolis Fitness and Sports Training. IFAST has been named one of the Top 10 Gyms in America by Men’s Health magazine three times in the past six years. Follow Mike on Twitter. Dr. Bubbs interviews renowned physiologist Dr. Trent Stellingwerff PhD to discuss Eliud Kipchoge's record-breaking performance at the Berlin Marathon and the fueling strategies of elite marathoners. He also talks about the role of glycogen availability as a training regulator and the purposeful application of low carb availability training sessions in elite performers. As well, Trent dives into his past research into body composition periodization in endurance athletes and how it can impact athletic performance, injury risk and illness over a career. He shares insights into daily caloric restriction and weekly bodyweight loss targets as well as factors to consider before implementing this strategy with athletes. Finally, Trent shares his tips for recreational runners on improving performance and health and avoiding the trap of trying to ‘fuel like the pros’. Fantastic insights from a world-leader! Dr. Trent Director Stellingwerff PhD of the Innovation and Research division at the Canadian Sport Institute _ Pacific. An experienced researcher, Trent has more than 40 peer-reviewed scientific publications and is currently on the editorial board for the International Journal of Sports Physiology and Performance and the International Journal of Sports Nutrition & Exercise Metabolism. He has co-authored six book chapters focusing on the role that nutrition can play in supporting elite athlete performance, including a chapter on ’Nutrition for the Endurance Athlete’, for the newest version of the 2013 IOC Sports Nutrition Encyclopaedia. Trent has attended numerous World Championships and Olympic Games as part of Team Canada’s Integrated Support Team and consults w several Olympic athletes from around the world, including his wife Hilary, who competed for Canada in the 1500m at the 2012 Games. Season 2 Episode 35, Dr. Bubbs interviews renowned sport psychologist Dr. Peter Jensen PhD. In this episode, Dr. Jensen will discuss his first experiences working at the Olympic Games, what stood out and how sport psychology has evolved over the last three decades. He’ll also discuss the key role of energy management in elite performance: what it is, why it’s important and how it plays a fundamental role in your ability to react and respond to stress. He’ll outline how energy management is different from time-management and the value of pressure for performance. Dr. Jensen will also highlight energy drains on the body, how reframing and breath-work are powerful tools to control energy management, what stress and anxiety do to attentional focus and how imagery and emotions are the fast-track to the brain. Phenomenal insights from a world-leader in sport psychology! 1) Ability to build relationship and connect with people is really critical, really critical. 2) When arousal levels are high – attentional focus narrows. 3) Reframing and breathwork are strategies to control energy levels. Dr. Jensen holds a PhD. in Sport Psychology. An authority on leadership, he is a renowned innovator - bringing coaching and personal high performance to corporations worldwide. Peter has attended nine Olympic games as a member of the Canadian Olympic team and has helped numerous athletes achieve high performance levels under intense pressure. With the world of Olympic level sport as a laboratory, he has developed a deep understanding of what it takes to be a successful leader of high performers. Peter is a top-rated instructor in seven programs at the Queen's Smith School of Business. He also helped design the Queen's Executive Leadership Program. He is a founding director of Performance Coaching Inc., one of Canada's leading corporate training firms. Fortune 500 companies in eight countries have benefited from Peter's programs. Peter has written three books: The Inside Edge, Ignite the Third Factor, and, most recently, Thriving in a 24-7 World - a compelling look at how everyone can use the skills of energy management to enhance personal resilience under pressure. His work has been featured on ABC, CBS, CBC, CTV and in a wide array of print media in North America and Europe. Peter's clients include BP, Nexen, Syncrude, Labatt, Hydro One, CCMD, RCMP, GE Capital, Maclean's and Royal Bank. Season 2 Episode 34, Dr. Bubbs interviews nutrition expert and 5x British Bodybuilding champion Dr. Andrew Chappell PhD to discuss his research in elite male and female bodybuilders. In this episode, Andrew will discuss the overall energy intake and macro breakdown of elite bodybuilders: how much protein they consume, key differences in carb consumptions between bodybuilders who place in the top-5 versus the rest of the pack, and how fat intake differs between USA and British bodybuilders. Andrew also talks about the massive variance in caffeine intake, key factors like meal frequency and number of different food items consumed, and the most common supplementation practices amongst the best of the best. Andrew also shares his own insights from years of competing at the highest level. Nutritional strategies of high level natural bodybuilders during competition preparation. Andrew Chappell holds a Phd in Human Nutrition from the Rowett Institute where he specialized in the effects of the colonic gut microbiota and cereal science. Andrew also holds a MSc in Human Nutrition from the University of Aberdeen, and an Undergraduate degree in Sport and Exercise Science from Heriot Watt University. Andrew lectures in sports nutrition at Sheffield Hallam University and is an early career research who specializes in bioactive compounds and their effect on resistance training performance and also engages in the study of both bodybuilding and strongman populations. Andrew has published in the area of cereal science, the gut microbiota, exercise and inflammation, dietary supplements and bodybuilding research. Andrew is also a completive Pro natural bodybuilder, he’s competed since 2006 and winning 5 British titles, and competing in 6 world championships 2 as a professional, where he took 3rd at the recent DFAC world finals in 2017. Andrew also competes in Strongman and powerlifting and has experience working with strongmen and bodybuilders from local to international level. In Season 2 Episode 33, Dr. Bubbs “rewinds” the tape and revisits highlights and key insights from world leading experts from the past two seasons of the show. In this instalment, Dr. Bubbs talks training athletes with Strength Coach Clance Laylor, sprinting and injury prevention with Sprint Coach Derek Hansen, the application of HIIT training in heart disease and markers of overtraining with expert Dr. Martin Gibala PhD. He then shifts gears to discuss muscle fiber types (and the confusion and myths in this area) with leading expert Dr. Andy Galpin PhD, and hears from Dr. Dan Pardi PhD on circadian biology and how it impacts health and performance. Finally, Dr. Bubbs rounds out this edition of REWIND by discussing brain and recovery with expert Dr. John Sullivan PhD and the mindset traits of elite captains with author of Captain Class and Wall Street Journal Sports Editor Sam Walker. Tons of great insights from this incredible group of experts! Season 2 Episode 32, Dr. Bubbs sits down with hypertrophy and muscle science expert Dr. Cody Haun PhD. In this episode, Cody will discuss a few of his recent papers, starting with recovery responses to light versus heavy resistance exercise in young men and unpacking what's happening at the molecular level between light and heavy loads. Next, Cody shares the results and key findings from his research on high versus low responders to training, the biomarkers associated with low, moderate, and high responders to training. Finally, Cody addresses the soy protein controversy around supplementation and testosterone. Does it impact estrogen level? Does it impact fat accumulation? Fantastic insights from Cody. Season 2 Episode 31, Dr. Bubbs interviews Professor Ross Andersen PhD, kinesiologist and researcher at McGill University in Montreal to discuss his recent work on seasonal changes in body composition in collegiate football and hockey players. Dr. Ross discusses differences in pre-season to end of season changes in lean mass and fat mass, as well as different trends observed in football versus ice hockey. He also shares his experiences from working in the NFL with the Philadelphia Eagles and Baltimore Ravens and provides some insights into how to communicate science into practice. 2) Football and hockey players gain fat-mass as the season progress. 3) Local athletes on-campus had greater gains in lean muscle mass. Longitudinal Changes in Body Composition Throughout Successive Seasonal Phases Among Canadian University Football Players. Seasonal Changes in Physiological Responses and Body Composition During a Competitive Season in Male and Female Elite Collegiate Ice Hockey Players. Dr. Ross Andersen PhD is a professor and researcher in the department of kinesiology and physical education at McGill University and the Director of the McGill Research Centre for Physical Activity and Health (PATH).